Favorite Sweet Potato Dish: One of our clients, Sassool Mediterranean Cafe, makes the most incredible sweet potato salad. It has golden raisins, celery, other crunchy veggies and a little spice! Of course, North Carolina sweet potatoes are the star of the show. It’s super delicious and something I always crave! Why I became a Sweet Feet Member: I became a Sweet Feet member because I LOVE North Carolina sweet potatoes and I enjoy eating them before a race. I also wanted to join a group with a like mindset that values health and local food. Favorite race: My favorite race is the Cooper River Bridge Run (10K) in Charleston, South Carolina. This was the first 10K that I ever ran and I keep going back for more! I challenge myself each time I run to beat my previous time. Running uphill to the top of the bridge is the absolute worst, but then once you get to the top you overlook the beautiful water and downtown Charleston. There’s nothing like it! What got me running: I always hated running. I played women’s lacrosse in high school and they made us run every day for miles and miles until we felt like we were going to puke! I think I just had a horrible mindset with running until that all changed in college. I was super stressed my freshman year of college (so much school work and lots of changes!) and found running outside to be my outlet. I would run a couple miles every morning and steadily started to increase my distance, I fell in love with it! 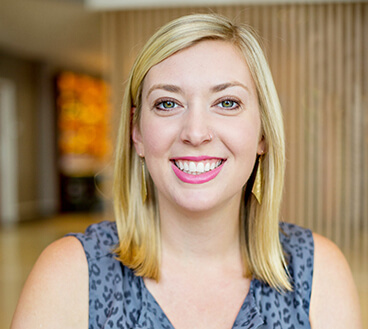 A litte about me: Native to the Carolinas, Kristen Baughman is the founder of Tabletop Media Group, a media agency providing services to businesses involved in food, beverage, agriculture and lifestyle. Adventurous and passionate, Kristen has traveled more than 30 countries to explore the different cultures and food options around the world. In her free time, you can find her relaxing outside on her farm with her dogs Cheerwine and Doc, or at one of the many Triangle restaurants with the fiance, Zayne.